At Piedmont Moving Systems, we’ve been an expert San Jose logistics company since 1981, over which time we’ve worked with many non-profit organizations and businesses both here in the local area and throughout the country. Although we appreciate the challenge of every assignment we take on, we particularly enjoy those that let us give back to the community in some way. That’s why we’re excited to continue our participation in the Kyle Petty Charity Ride Across America, one of the most anticipated community service events every year. What Is the Kyle Petty Charity Ride? Originally begun in 1995, the Kyle Petty Charity Ride Across America raises money for Victory Junction, a camp for kids who are facing chronic illness, disease, or disability. Over the last 23 years, more than 8,000 riders from across the country have come together to raise over $18 million dollars for Victory Junction and other charity organizations. The 2018 Charity Ride will take place from May 5 to May 11. It begins in Portland, Maine, and ends in Greensboro, North Carolina. How Does Piedmont Moving Systems Contribute? 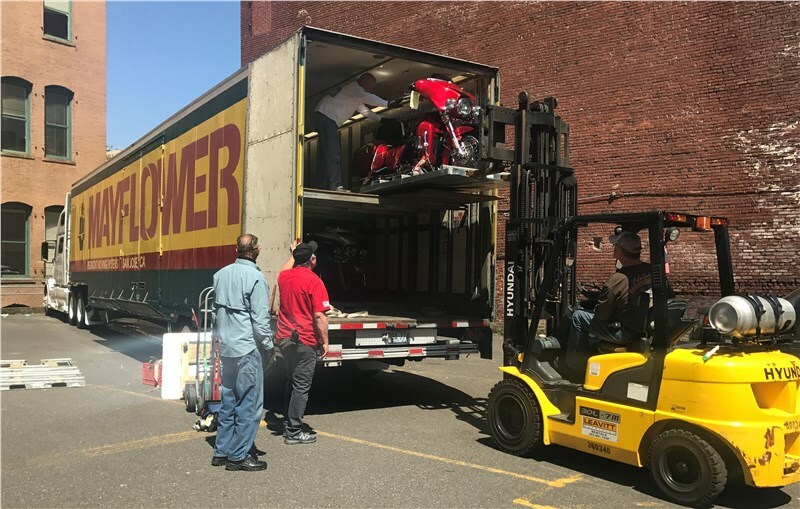 Each year, Piedmont Moving Systems helps the Kyle Petty Charity Ride in the best way we know how—by contributing the use of our state-of-the-art moving fleet as well as the expertise of our skilled movers. 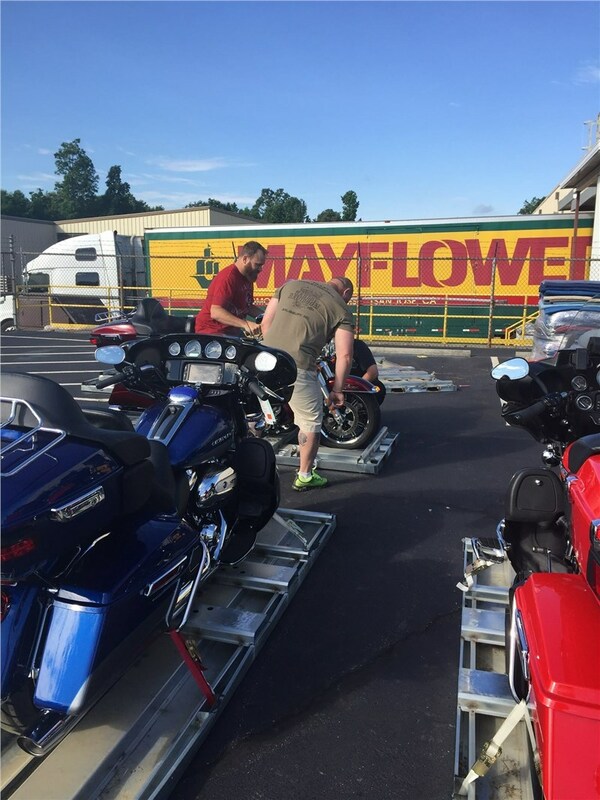 We send our Mayflower trucks to load up participants’ motorcycles and transport them to the race’s starting point. With the help of our equipment moving company, all the riders have to do is show up and be ready to ride! This race isn’t a random event that we’ve chosen to participate in; it’s actually a tradition that runs in our family. Vice President,Tabatha Beltramo helps organize, while her parents, Piedmont's owners, have ridden in the Charity Ride for over 20 years now! Giving back to the community is a value that we take seriously, and we’re pleased to have such a meaningful way to do so. If you have a large off-site event that you need help with—whether here in California or across the country—don’t hesitate to contact our San Jose logistics company today! Our deep experience in hospitality logistics, equipment moving, and large project management makes us a valuable partner for mobile events of all sizes and scopes. To get all your logistics questions answered, go ahead and give us a call today to speak with one of our equipment moving experts. You can also request a free consultation and on-site cost estimate by filling out our online quote form now.